LabVIEW 2019 Mac is a graphical programming language that uses icons instead of lines of text to create applications. 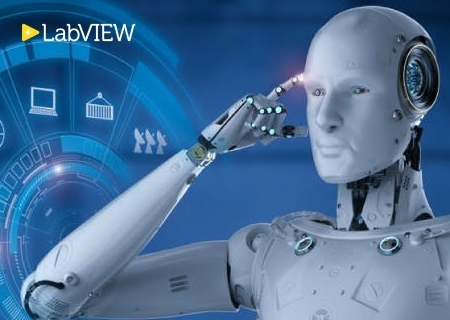 In contrast to text-based programming languages that use instructions to determine the order of program execution, LabVIEW uses dataflow programming. In data flow programming, the flow of data through the nodes on the block diagram determines the execution order of the VIs and functions. VIs, or virtual instruments, are LabVIEW programs that imitate physical instruments. In LabVIEW, you build a user interface by using a set of tools and objects. The user interface is known as the front panel. After you build the front panel, you add code using graphical representations of functions to control the front panel objects. You add this graphical code, also known as G code or block diagram code, to the block diagram. The block diagram somewhat resembles a flowchart. The block diagram, front panel, and graphical representations of code compose a VI. National Instruments has announced the release of LabVIEW 2018 system design software. 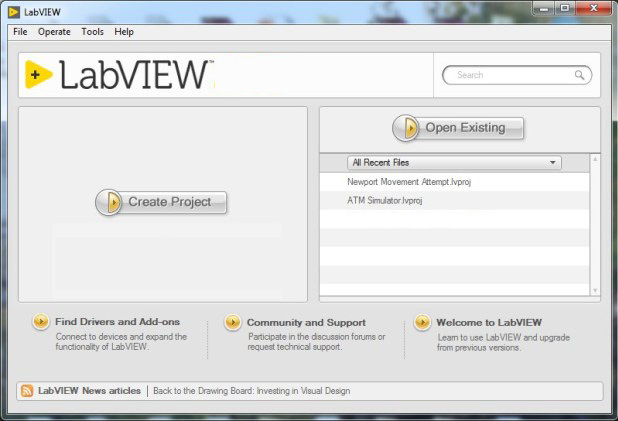 The latest version of LabVIEW delivers speed improvements, new and improved features, and fixed bugs. Bundling class data is slower than bundling cluster data. Pop-up menus can appear only limited number of times before LabVIEW crashes. LabVIEW incorrectly allows dropping a shared variable into a cluster. Exporting typedef array of numerics to Excel may crash LabVIEW. LabVIEW crashes when updating the radix of a numeric control on an Actor Core VI that is running. Changing the line styles of multiple plots does not work as expecting in XY graphs. Uninitialized shift registers may cause incorrect type propagation. Cannot create Express VIs in certain localized versions of LabVIEW. The File dialog box in LabVIEW for macOS has no title bar. Rescripting a message for an actor on a Linux RT target results in error 7. Accessing a DVR and deleting its reference in parallel can, in certain circumstances, cause LabVIEW to crash. VIs that use channel wires are broken when built into a packed project library. When dynamically registering events, LabVIEW may behave unexpectedly if an event is fired and unregistered before it is processed. The LabVIEW Application Builder has the potential to hang when building malleable VIs with subarray or substring inputs. Malleable VIs may not properly break after you rename a class method that the mallable VI calls when performing class substitution. Synchronize with ni.com Icon Library fails in the LabVIEW Icon Editor. When resizing arrays on macOS High Sierra, the arrays sometimes do not expand or shrink.